If you haven’t been to Georgetown to dine recently, it’s time. There is a crop of new restaurants to explore, including Dyllan’s Raw Bar Grill overlooking the C&O Canal. The restaurant takes over the space once belonging to Sea Catch, which was a Georgetown mainstay for more than 30 years. Dyllan’s Raw Bar Grill is housed in an 1890s warehouse built from locally quarried stone and wood from Virginia. It was here that punch card machines were produced to help tabulate the census. Now you can count on a seafood-centric menu of regional American cuisine with numerous international accents. The 13,000 square foot restaurant is all about options. You can dine and drink at the bar or beside a fireplace in the 94-seat Punch Card Room. In warmer weather there is an outdoor patio with a view of the C&O Canal as well as seating in the Canal Square Courtyard. 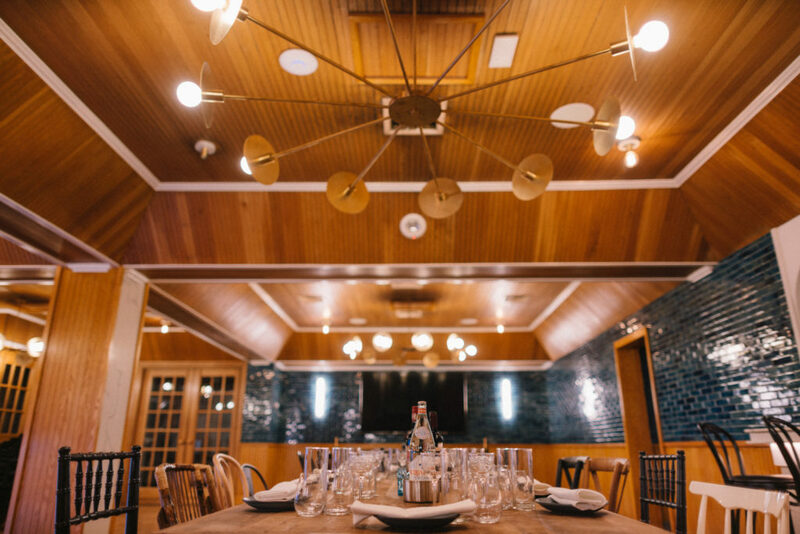 If you’re looking for a private room, Dyllan’s has you covered in The Hollerith Room -named for former occupant, inventor Herman Hollerith, who owned The Tabulating Machine company. Dyllan’s is the first restaurant owned by hospitality industry veterans Don and Amy Carlin. They hired Corporate Chef Neil Corman and Chef de Cuisine Darren Hendry to create and execute the menu. Hendry is a native of Edinburg, Scotland and has worked at area hotels and restaurants including The Ritz Carlton, Bobby Van’s Grill, Founding Farmers, Nick’s Riverside Grill, BLT Prime by David Burke, and the Walrus Oyster and Ale House. The restaurant features a raw bar with a curated collection of east and west coast oysters and clams. 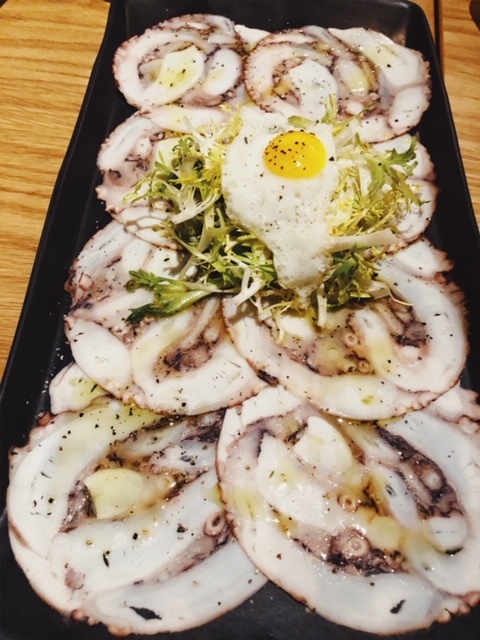 For something more out of the ordinary, octopus carpaccio with lemon infused olive oil is topped with a fried egg. There is also a selection of ceviches. Orange-habanero lobster & shrimp ceviche is super sweet, which I don’t mind as an offset to briny oysters. 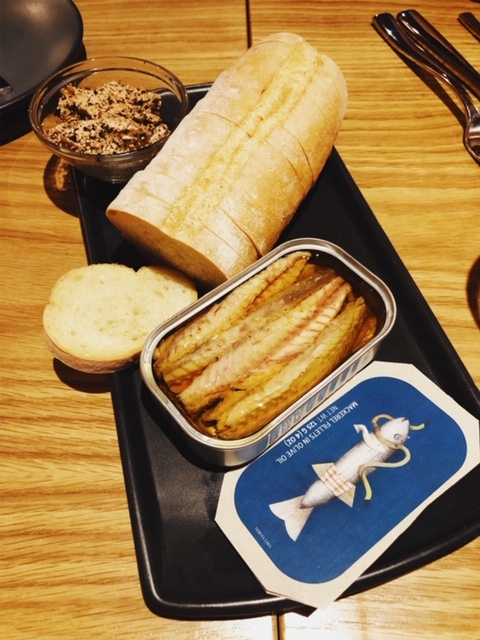 Dyllan’s is the first – and most likely only- DC restaurant to offer a tinned fish bar. I was skeptical, but the tinned seafood is sourced from smaller boutique canneries in Spain and Portugal that work with fisherman who sustainably catch in season. The tin preservation enhances the flavor, and to my surprise I find myself a fan. The delicacy can be pricey, with cockles coming in at a steep $120. You can explore the trend with a more modest offering of smoked sardines, tuna, or squid served with crusty bread. Don and Amy Carlin want the menu to reflect their own international travels, along with the chefs, and that it does. Sautéed bronzino is accented with kimchi. 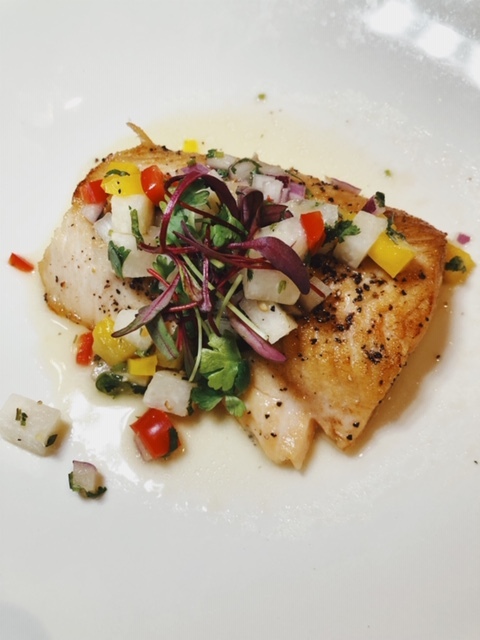 Arctic char is topped with jicama, yellow tomato, and pico de gallo. You can veer Italian with linguine and clams or Middle Eastern with roast chicken and house-made hummus. Seafood gumbo reflects Chef Hendry’s time spent cooking in New Orleans. There is certainly something for everyone here, but beyond seafood, it’s a world view that would benefit from more focus. On the plus side, the menu features a variety of options for vegetarians including vegetable pot pie with beetballs (gluten free/vegan meatballs), roasted mushroom salad with quinoa, and a spicy seasonal vegetable tart with goat cheese. Side dishes are primarily American classics and they are worthwhile additions. Take your pick from roasted wild mushrooms, seared broccoli with roasted garlic, and mac and cheese uplifted by chopped avocado. A taste of Japan sneaks its way into mashed potatoes with miso crème. I’m not opposed, this is a keeper. Desserts are designed by Chef Hendry and Sous Chef Christopher Lopez and you should factor them into your meal. 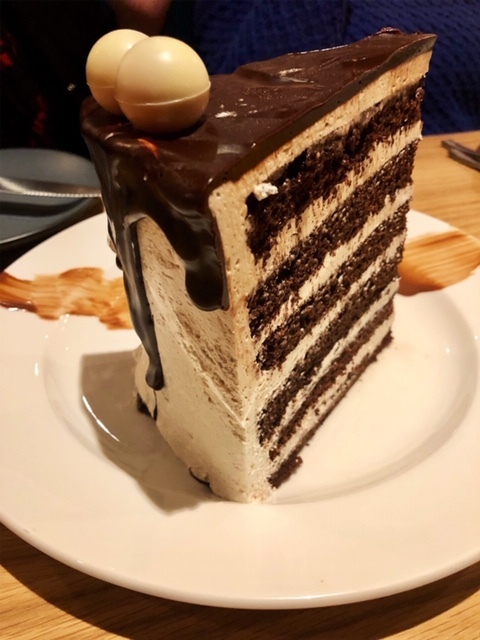 Chocolate ganache cake, key lime pie, and apple crumble are a few of the current offerings. A Happiness Hours menu – offered from 4:00 to 6:00 pm Monday- Friday- gives diners a chance to explore raw bar items including steamed mussels in Thai coconut lime broth, steamed clams, and a selection of entrees- all at a discount. Dyllan’s Raw Bar & Grill also offers lunch and weekend brunch. Look for fried halibut kimchi tacos, ginger glazed salmon banh mi, eggs benedict, pancakes, omelettes, burgers, and lobster rolls. Visit the website for information on special events including a Cooking with Chef Darren series, Date Night – Craft Cocktails, Shellfish Shucking, Roll Your Own Sushi, Fish Stew, and Professional Tacos the Easy Way. There’s so much more. But who’s counting?